Dale McClelland : Flint Financial Planners | Financial & Tax Planning, Inc.
Dale has considerable experience in the financial industry. He has spent over 40 years in the securities industry. He is the founder of Financial & Tax Planning Inc., and Financial Planning Advisory Corporation of Flint. Dale has a degree in finance, business, and international banking from the University of Michigan. He obtained his Certified Financial Planning designation in 1978, one of the first in the state to receive such a designation. 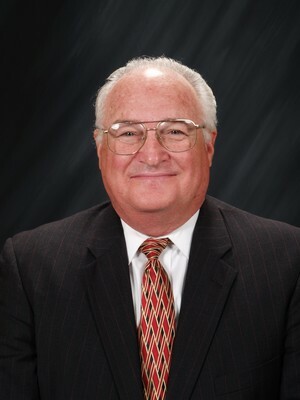 Dale has served on the YMCA of Flint Board of Directors as Past President, and Board Member. He also served on the National Board of Directors for the International Association of Financial Planning. He is one of the founders of the Southeast Michigan Chapter of the International Association of Financial Planners, where he held positions of Secretary, Treasurer, Executive Vice President, President, and chairman of the first Financial Planning seminar held in the state. Dale also was director and past president of the Securities Traders Association of Detroit and Michigan. In the 70's Dale;e assisted in the transfer of funds in a broker dealer merger from WH Moeller & Co. to Manley, Bennett, McDonald & Co. Upon completion of the merger, Dale established and managed the Annuity department of Manley, Bennett, McDonald & Co. In 1968 while employed at WH Moeller, Dale was responsible for the order execution and accounting department, which handled all retail and institutional securities sales. He also formed the OTC trading department and became the market maker for 17 common stocks trading them on a national basis thought the NASDQ system. He was eventually designated the Vice President, Director, and manager of the OTC trading department. Today, Dale is enjoying retirement in Northern Michigan with his wife of over 50 years. He enjoys outdoor activities, and spending time with family and friends. His extensive knowledge and experience makes him uniquely capable of providing analysis and insight into our clients' financial situations.